I spoke on Wave 102 News yesterday following the Remploy announcement that there is a bid for the Textile Business at Dundee Remploy and that it would now progress to the final stage (Best and Final Offer). A bid for the textile business is positive news and I do think every effort should be made to assist the bidder, subject to assurances about continued employment of the workforce and their terms and conditions. Securing a positive future for the workforce is vital. 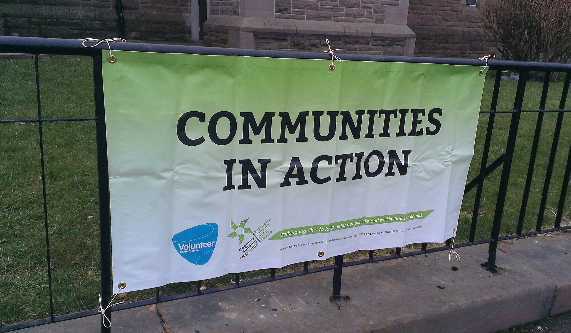 Yesterday, I had the pleasure of calling by a Communities in Action Afternoon Tea at Logie St John’s (Cross) Church Hall. This was a great opportunity for older people in the West End to discuss what it is like growing older in the local community and what services and opportunities are provided and what could be improved. A further feedback event will take place at the same venue from 2pm on 5th June. I also attended the latest meeting of the Remploy Working Group where members were unfortunately advised that a bid to run the Dundee Remploy factory as a social enterprise is not feasible. I stressed the point that a huge effort must now be made to find alternative work for the staff that is sustainable in the long term. After my two Monday ward surgeries at the Mitchell Street Centre and Harris Academy, I took part in City Council meetings. * At Education Committee, I asked the Director of Education about preparedness for the introduction of the Curriculum for Excellence across the city and the availability of teaching resources. * At City Development Committee, I welcomed a report on proposals for the City Council to work with Angus Council to seek sponsorship of roundabouts in the city. Having previously raised this as a proposal during a previous budget process, I am pleased to see progress towards this that has the potential to reduce maintenance costs. I sought assurances about ensuring landscaping is well-maintained and also that there should be no political advertising on the city’s roundabouts. * At Policy and Resources Committee, I welcomed a proposal to bid for funding from the Youth Employment Scotland Fund that, should Dundee’s bid be successful, would result in some 200 subsidised jobs for the city’s young people. * At Social Work and Health Committee, I stressed that the new consultation on the Kemback Street Adult Resource Centre must be undertaken in a way that gives service users and their families confidence in the process. I also asked about improvements to the Home Care Enablement (East) and Social Care Response Team following the inspection report in December 2012 that highlighted concerning issues with service delivery. Earlier today, along with a number of fellow councillors, parliamentarians and others, I attended a briefing on welfare reform, followed by a further meeting of the Remploy Action Group. Given that one side of Lochee Road at the location of concern (the junctions at Rankine Street/Cleghorn Street/Dudhope Terrace) is in the West End Ward, I asked a number of questions of council officers about steps that require to be taken to improve air quality here. 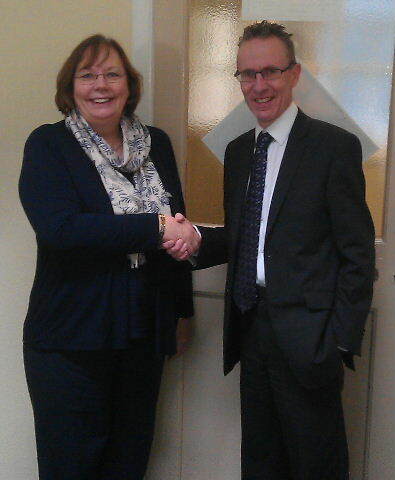 Today, I had the pleasure of holding two West End surgeries jointly with Alison McInnes, MSP for North East Scotland. These took place at the Mitchell Street Centre and at Harris Academy. Alison and I also attended the latest meeting of the cross-party Remploy Action Group that took place at the City Chambers. Alison and I are pictured (right) prior to the meeting today. * I proposed that changes proposed to the Hospital Fund and Johnston Bequest do not go ahead. Having read the last will and testament of Robert Johnston (1639) and the detail of the Dundee Churches and Hospital Act 1864, it is quite clear that these funds were left to give maintenance to “the poor” (Hospital Act) and “the aged and impotent people” (Johnston Bequest). The proposal before councillors tonight was to henceforth use the funds for a welfare rights service. However well-intentioned, this proposal does not meet the terms of the bequests and that much is obvious to anyone who has actually read these terms. * I was elected to serve on the Tay Road Bridge Joint Board. * I welcomed progress to provide modern apprenticeships and asked for the detail as to when these can be delivered. * I queried how best to provide administration of the Scottish Welfare Fund. * Monday – Council Committees – After the site visit to the Kelso Steps I advised of earlier, I held my Monday ward surgeries at Harris Academy and the Mitchell Street Centre. Thereafter, I participated in City Council meetings. At the Environment Committee, I welcomed the update about the cremated remains project at Western Cemetery that I have taken a close interest in. I also raised the need for some environmental improvements at Balgay Cemetery and cited the concerns of an elderly lady who is concerned about the area around her parents’ grave. I also queried targets for increased use of electric and other low carbon vehicles by Dundee City Council and have since had a useful update from the council’s Environment Director on the matter. At City Development Committee, I was pleased to note progress towards ensuring the Rockwell site is ready for Harris Academy pupils next August but again highlighted the council’s failure to put the very significant decant tender out to the open market. The tendered price submitted by the council’s Environment Department is a very significant £843 578 and this should have been subject to competitive tendering to ensure best value to the Council Tax Payer. It is reminiscent of the Dudhope Castle refurbishment I criticised earlier this year – £859 136 that was not subject to competitive tender. At Policy and Resources Committee, I supported the proposal for an all-party action group to see what can be done to help Dundee Remploy workers (I have also been in touch with the council’s Head of Economic Development about the very concerning situation affecting Remploy in Dundee). I also queried progress with staffing arrangements for the delivery of the Scottish Welfare Fund from April 2013 and seconded a motion by Bailie Derek Scott, who rightly opposed a new second civic car – an extravagance that cannot be justified in the current financial climate. 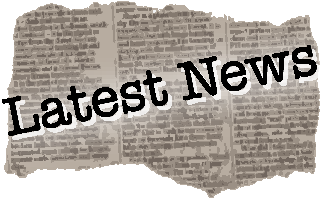 * Tuesday – On Tuesday evening, I firstly attended part of the Blackness Primary School Parent Council meeting at which Mr Ferrier, Head Teacher, gave a comprehensive update on recent school activities and a resume of PE and music provision at the school. Thereafter, I took part in the monthly West End Community Council meeting – the best attended for some time, no doubt due to the discussion about the parking consultation in part of the West End. The Courier report yesterday gives a good summary of the discussion. At the Community Council, the shoppers’ prize draw and children’s window spotting competition winners from West End Christmas week were drawn – more details to follow! * Wednesday – Scrutiny Committee – After yesterday’s photocall at Kwik Fit, I took part in the City Council’s Scrutiny Committee, at which, amongst other matters, I queried the scrutiny of performance in schools arising out of the inspection report on St Andrew’s Primary School, questioned council tax in-year collection targets, asked about the future of anti-fraud work given the moves towards the Single Fraud Investigation Service and also questioned fuel management arrangements. Yesterday afternoon, I had the pleasure of visiting the Dundee Remploy factory, to meet the Operations Manager and the GMB Shop Steward. 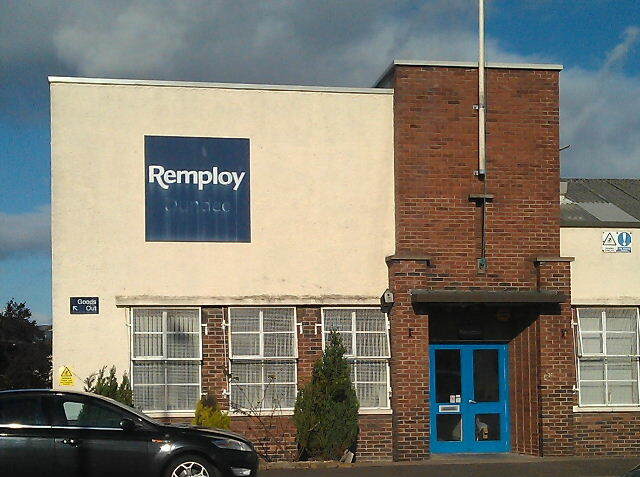 Dundee’s Remploy factory provides employment for 43 local people, most with disabilities. They produce high quality materials, mainly for the Ministry of Defence and also for police, fire services, the Home Office, and others. There is much concern over the future of Remploy, following the Sayce Report, on which a consultation exercise has recently ended. I had a tour of the Dundee Remploy factory yesterday. Most of the staff have given many years of loyal service to the company and produce goods of the highest precision and quality. Dundee’s Remploy factory must be supported. What is clear speaking with the local management is that if Remploy Dundee is to survive and prosper, it must now look to bid for work in the local procurement market. To that end, I have contacted economic development staff at the City Council to ask that all support – from the City Council, Business Gateway and Scottish Enterprise – is given. I am most impressed that the City Council’s Head of Economic Development has already been in touch with the Operations Manager at Remploy Dundee to offer advice and support, following my e-mail to him requesting support. Later yesterday, I had a site meeting with the local Housing Officer to look at guttering repairs needed at the Ancrum Place and Morven Terrace sheltered housing and thereafter had a very productive meeting at the Lochee Police Station on West End policing issues.